Swerve along giggle-inducing singletrack. 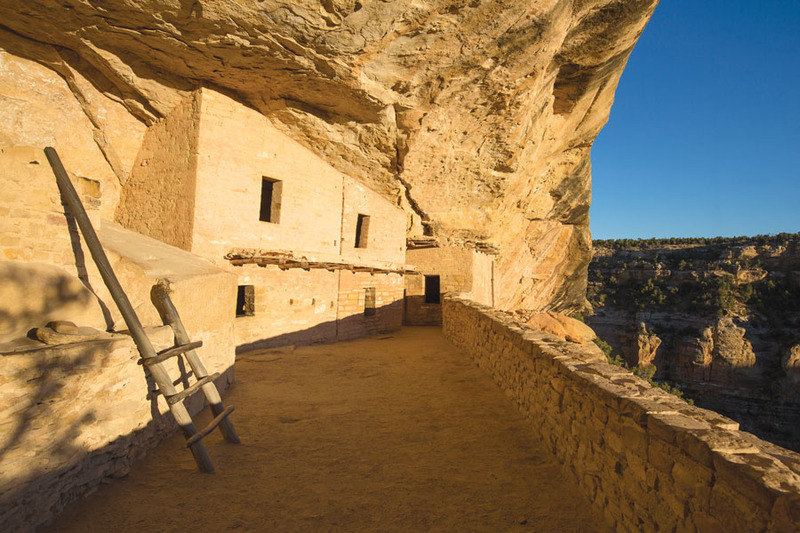 Wander through spectacular ancestral puebloan dwellings. 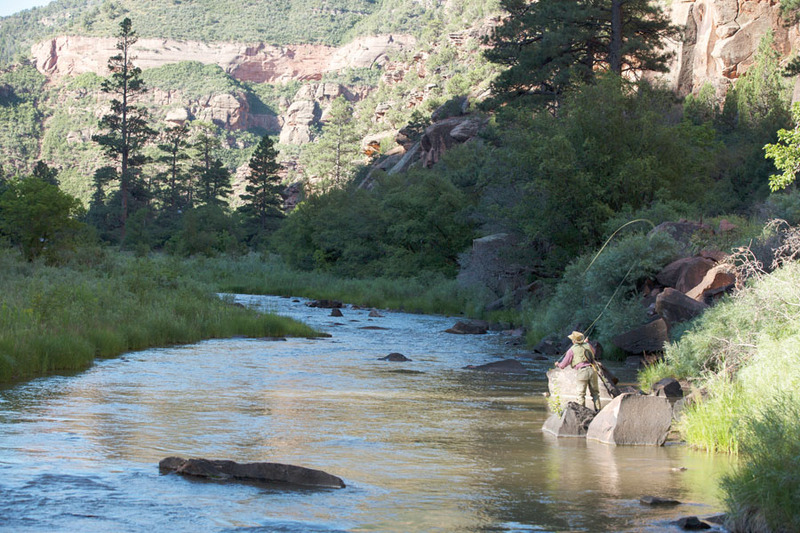 Play in the wild Dolores River. All this and more awaits intrepid travelers who make the trek to Cortez, a funky spot hidden in the southwest corner of the state. This little, understated town located near Mesa Verde National Park and Four Corners (where Arizona, Utah, Colorado and New Mexico converge) has a lot to offer the outdoor adventurer as well as the history enthusiast. Here, the desert merges with the mountains to create a playground with some of the best trails in the Southwest. 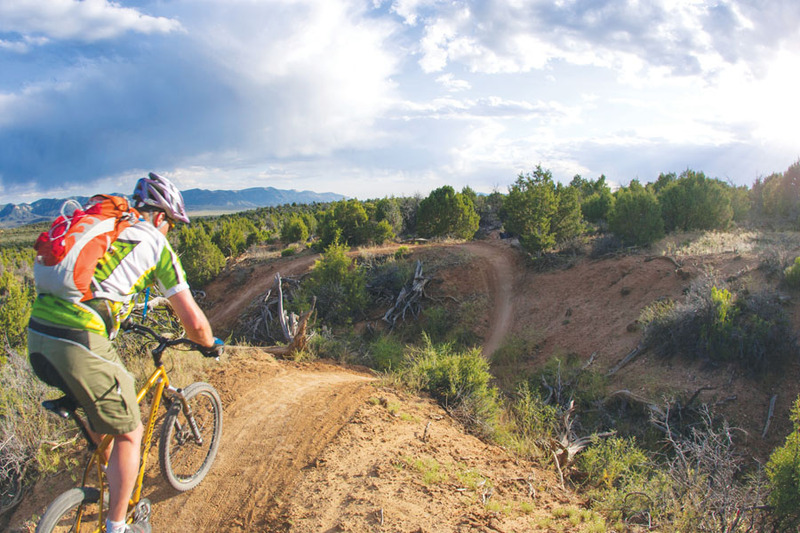 Just east of town, 29 miles of well-marked flowy singletrack, built by and for mountain bikers, cruises through fun rolling terrain, pinyon-juniper forest and sagebrush-lined arroyos. Because Phil’s World is perched at relatively low elevation (6,230 feet to 6,582 feet), trails dry out earlier in the spring here. Thus, this excellent network of directional trails is the perfect place to dust off the cobwebs—from your bike and your body—after a long Colorado winter. Silky smooth trails snaking through gullies, challenging, but short climbs, slickrock sections, roller coaster-like downhills and whoop-de-doos will all have you hollering. Beginners will love the Trust Loop, a 3.5-mile route near the trailhead that offers a great introduction to this spectacular system. Stinking Springs and Ledges Loops (each six-plus-miles) roll along canyon rims, drop rollovers and scale boulders, providing spectacular views and countless options for intermediate riders. And, of course no trip to Phil’s World is complete without a cruise across the famed Rib Cage, a flowy, curvy section with great jumps and berms. Join this with the Abajo Trail for sweeping mountain vistas of the La Platas, Abajos, La Sals and the Wilson group. And don’t miss the 12 Hours of Mesa Verde (12hoursofmesaverde.com), an endurance race that brings hundreds of riders to Phil’s World each May. Bonus: Phil’s World is only open to mountain bikers (no hikers or equestrians) and the trails are all one-directional, so you can fly around the corners with abandon. Want more? Nearby Sand Canyon Trail is a 14-mile singletrack route that cruises over slickrock and passes around areas teeming with ancient archeological sites. For more information and trail conditions, check out Kokopelli Bike & Board (970-565-4408; kokopellibike.com); the Bureau of Land Management, Tres Rios Field Office (970-882-7296; blm.gov/co/st/en/fo/sjplc.html); and the Southwest Colorado Cycling Association (swcocycling.com). Just 15 miles from Cortez, Mesa Verde National Park is home to 5,000 archeological sites, including some of the most intriguing remnants from the ancestral puebloan people, who descended on the Montezuma and Mancos valleys in 600 AD and prospered here through the 1300s until their civilization shifted and the cliff houses were left empty. On tours guided by knowledgeable park personnel, you will scale ladders and slink through tunnels to visit impressive ruins like Cliff Palace and Balcony House, which ancients carved into stone alcoves high above the canyon floor. If you’d prefer to go on your own, hit the Petroglyph Point Trail, a 2.4-mile hike that skirts the edge of a plateau to reach a panel of petroglyphs, ancient rock art. For solitude, meander the Nordenskiold Site No. 16 Trail, a tranquil two-mile stroll that ends overlooking an ancient cliff dwelling. Want more? Nearby, Canyon of the Ancients (blm.gov/co/st/en/nm/canm.html) and Hovenweep National Monuments (nps.gov/hove/index.htm) are chock full of beautiful hikes, steeped in history and overflowing with ruins. The Silver Bean: A morning must, this chic coffee shop in an Airstream trailer serves up great java, fruit smoothies, delicious breakfast burritos and other tasty treats. Pepperhead: Enjoy cuisine with a regional flare at this casual spot popping with spicy chile flavors and locally sourced ingredients. pepperheadcortez.com —C.K. Man, you missed the boat on this one. Want more biking? The trails at Boggy Draw in nearby Dolores are fantastic. Thirsty? Main Street Brewery, Dolores River Brewery and Mancos Brewing company are all excellent options (J. Fargo’s brewery is lousy). Get with it, man.